If you are wondering where to get vaccinations for you or your child, FastMed Urgent Care has a family practice in Charlotte, NC on Wilkinson BLVD that can help. We offer a comprehensive range of vaccines and immunizations for children and adults. Vaccinations are an important part of taking care of our health, and they are especially important for infants and small children. Vaccines can prevent serious and sometimes deadly contagious diseases. Some vaccinations will protect your for several years, but others are needed annually. Some vaccines, especially those for infants and young children, require more than one dose. They are usually given one or more months apart until the dosage is completed. Vaccines are extremely safe, but like any other medical product, there can be risks. If you are concerned about the safety of a vaccine, you should speak with a health care professional. FastMed’s staff of medical professionals are dedicated to answering your questions and easing the processing of getting vaccinations. Get Vaccinated at FastMed in Charlotte, NC! At FastMed Urgent Care, you don’t need an appointment to receive a vaccine. Simply walk in and one of our health care professionals will assist you. FastMed in Charlotte, NC, is open 365 days a year. We open late and close early, so you don’t have to miss work or pull your kids out of school just to receive a routine vaccination. 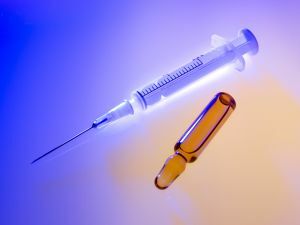 When you are wondering where to get vaccinations in Charlotte, North Carolina, FastMed is the answer to your question.